I have found great joy in things of little value. My grandmother’s buttons, my other grandma’s biscuit and cookie cutters, my best friend’s belt… These things might be cast aside as junk by some and truly, they may in fact, be junk. However, to me they are immersed in memories and an ethereal joy that money could not ever replace. 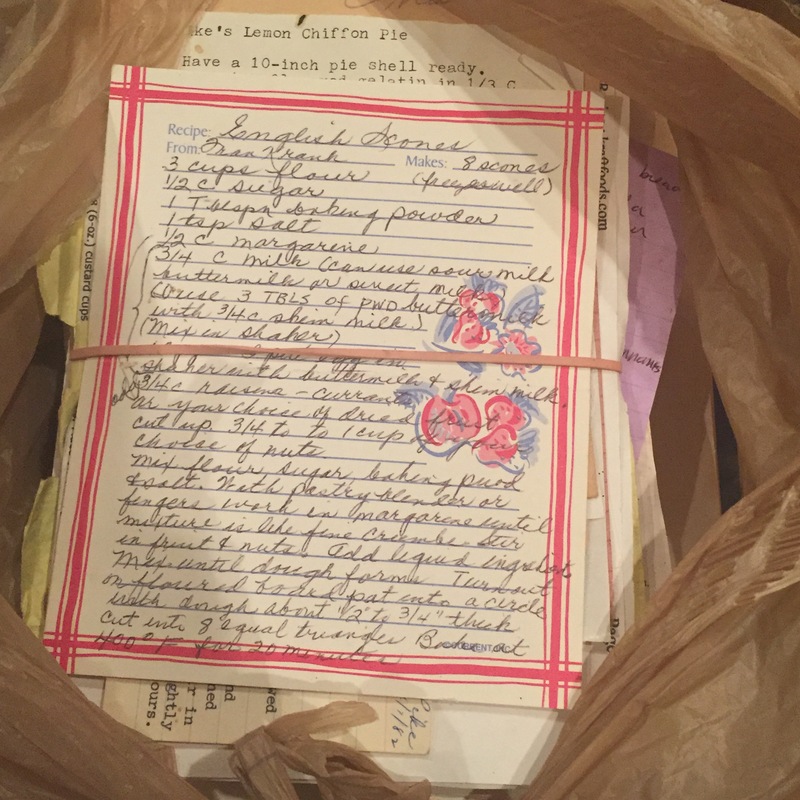 In this vein, I have received a most precious gift… My grandma’s box of recipes! Hand written, photo copied, magazine torn treasure! Oh, her handwriting! Unmistakable and rich with her presence. I cannot wait to dive into this treasure chest and bring what it inspires to this very place. To you all, who sometimes give a crap about what I have to say. If I can bring you a fraction of the joy that this will certainly bring to me, then I will feel satisfied. Likewise, my grandma would have eaten this up. Swearing Mom out.